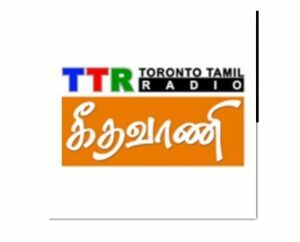 Geethavani radio is a tamil radio broadcasting from Toronto, Canada .Tune to Geethavani Tamil radio to listen to your favourite tamil songs and top kollywood songs . Over the years Geethavani Radio has been recognised with several awards . Geethavani contains a huge variety of programs telcasting wonderful tamil songs . Address : 720 Tapscott Road , Suite 101 , Toronto, CANADA M1X 1C5 .